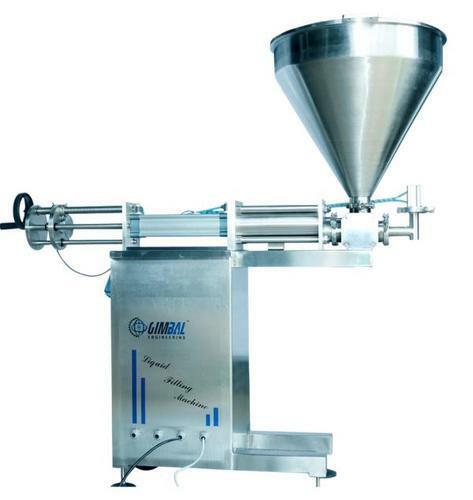 We offer Semi -Automatic Idli Dosa Batter Packing Machine ideal for packing of filling products at any kinds of ropy pitch from a uniformto viscosity. Easy to operate, energy efficient and cost effective. Established in the year 2014, Gimbal Engineering is a reputed organization in the market involved in manufacturing and supplying of quality products which are precisely engineered by our experts. We are based out as a Sole Proprietorship firm. We are situated our operational head in Coimbatore, Tamil Nadu. Our company is instrumental in offering wide assortment of Electric Control Panel, Power Control Panel, Drive Control Panel, Stepper Motor Drive Panel, AC Generator, AC Electric Motor and many more.